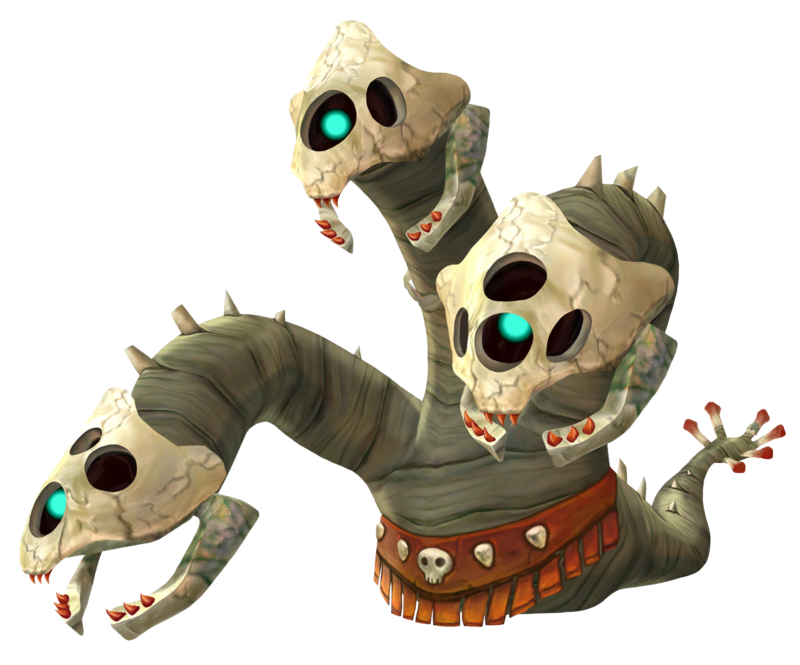 The Staldra is a Hydra-like enemy type that only appeared in The Legend of Zelda: Skyward Sword (2011) so far. 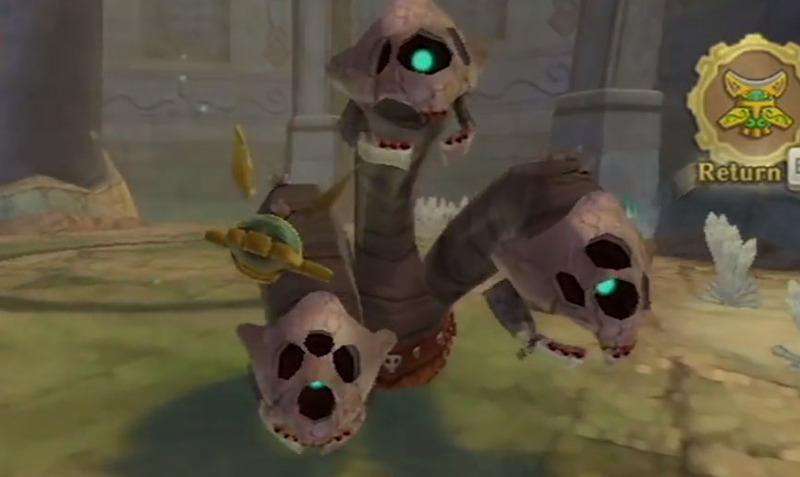 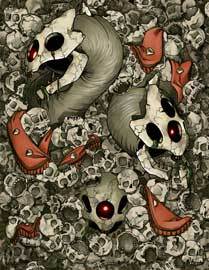 Link has to destroy all of its three heads at once to defeat it completely. 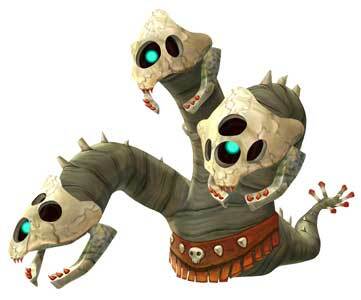 This is relative easy if Link uses Bombs when all three heads are in the range of the explosion.